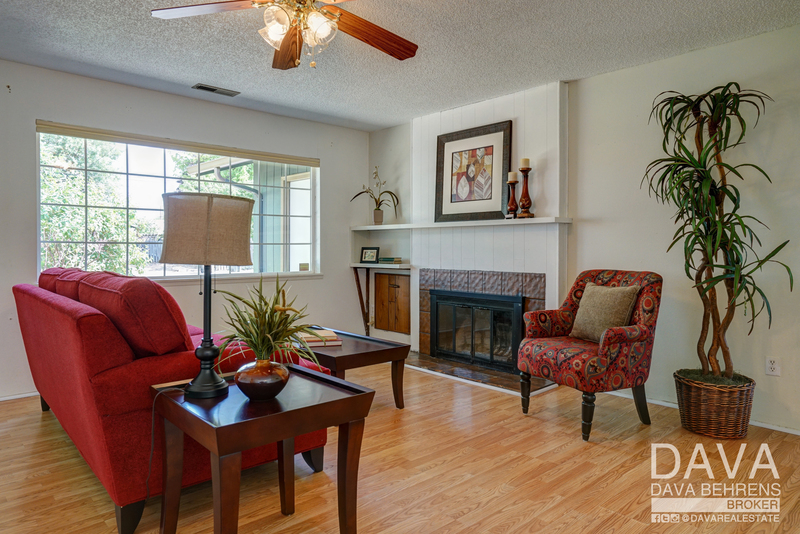 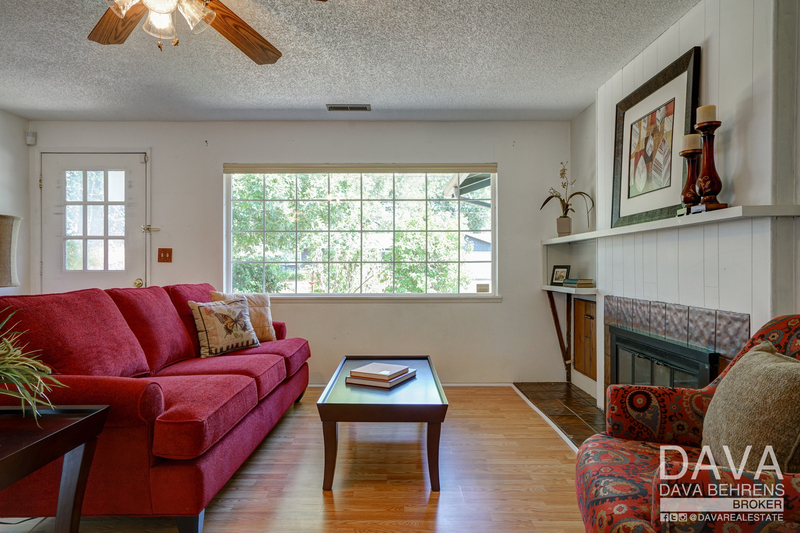 Single level home conveniently located to schools, parks, dining, shopping, natural areas, and trails. 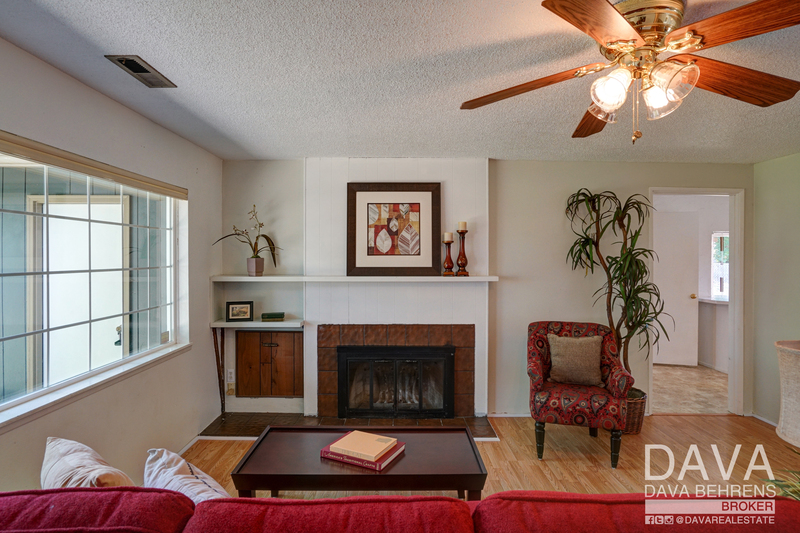 Spacious living room with wood-burning fireplace, brick surround, and built-in shelves. 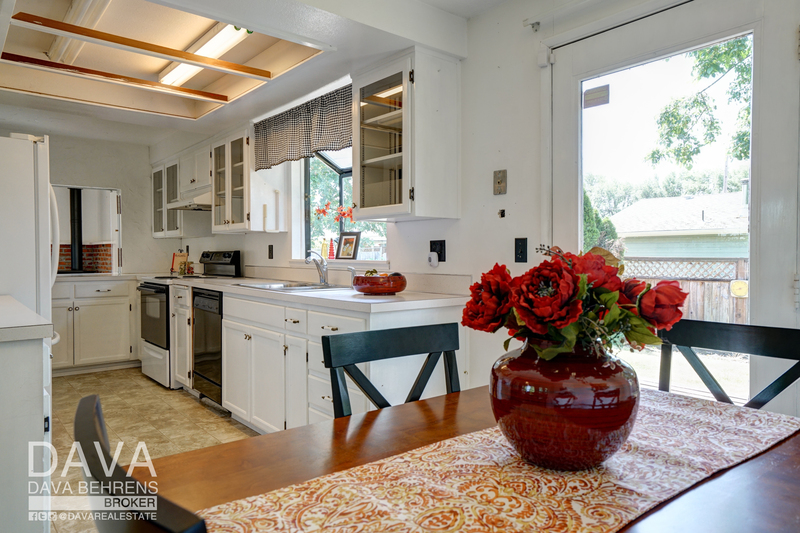 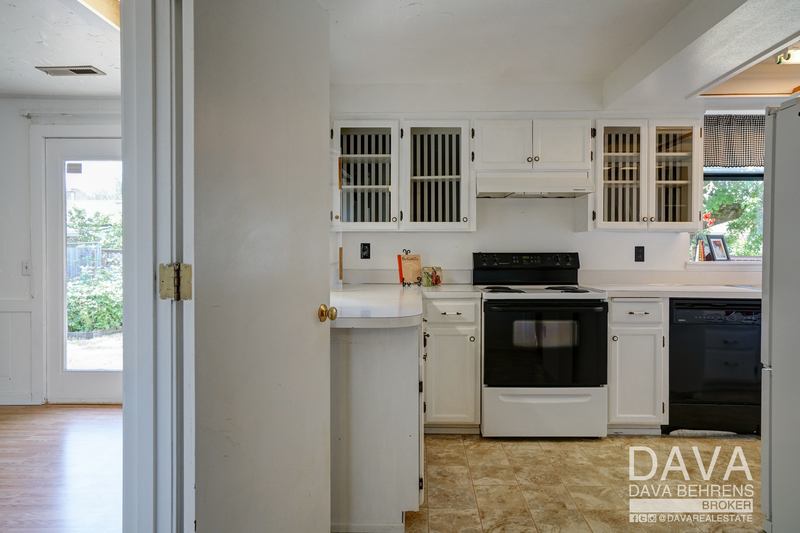 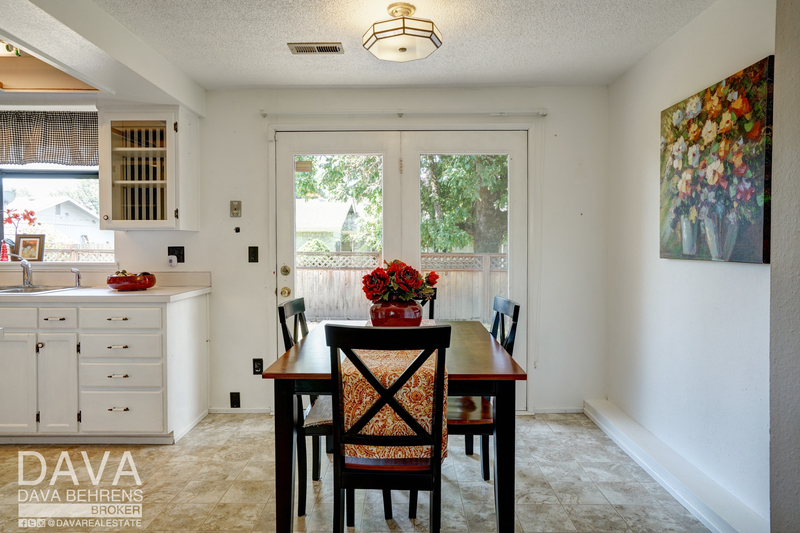 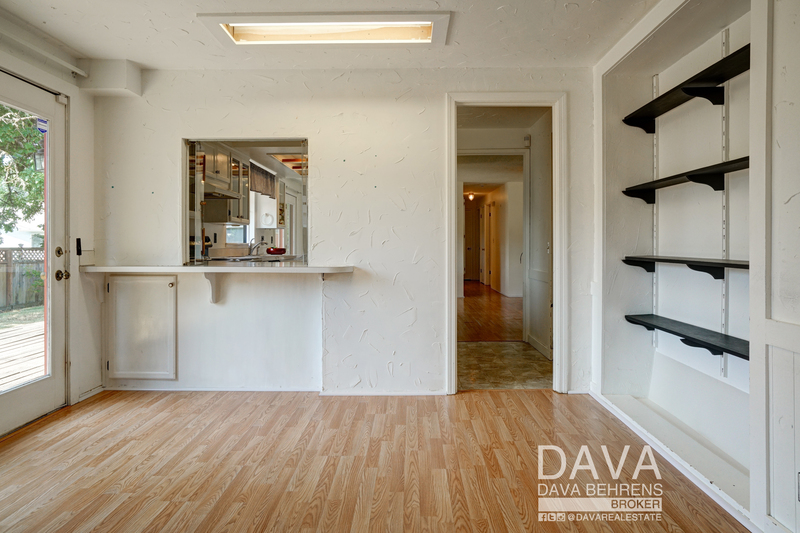 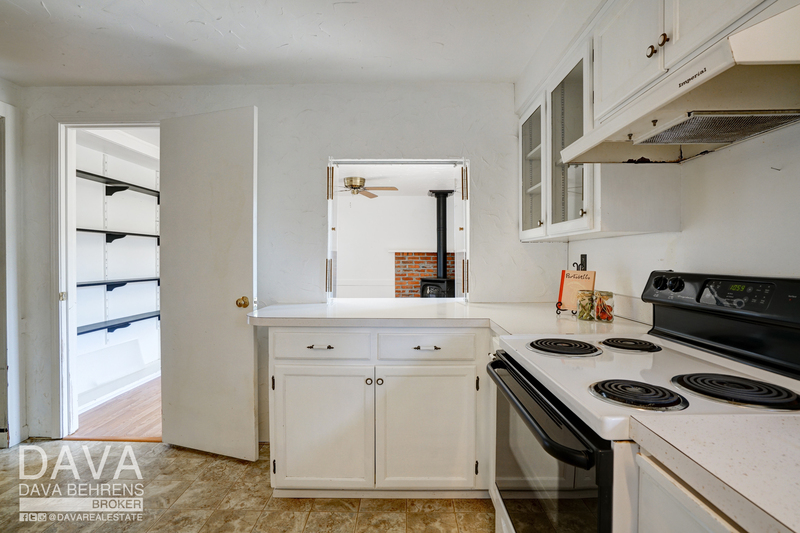 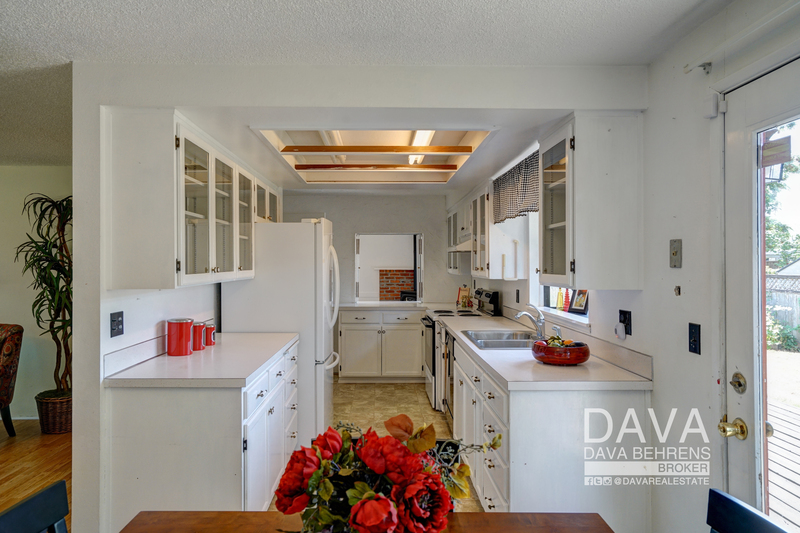 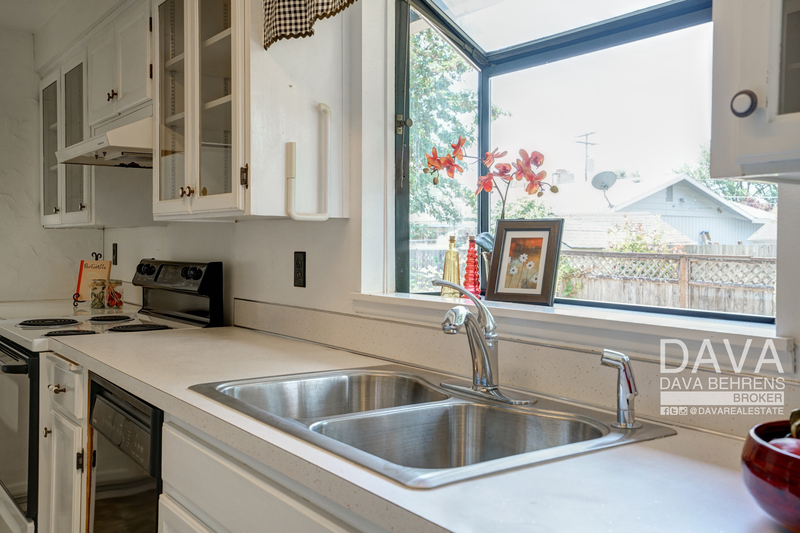 Open kitchen and dining area features white cabinets, garden window, upper display cabinets, and access to the back deck and yard. 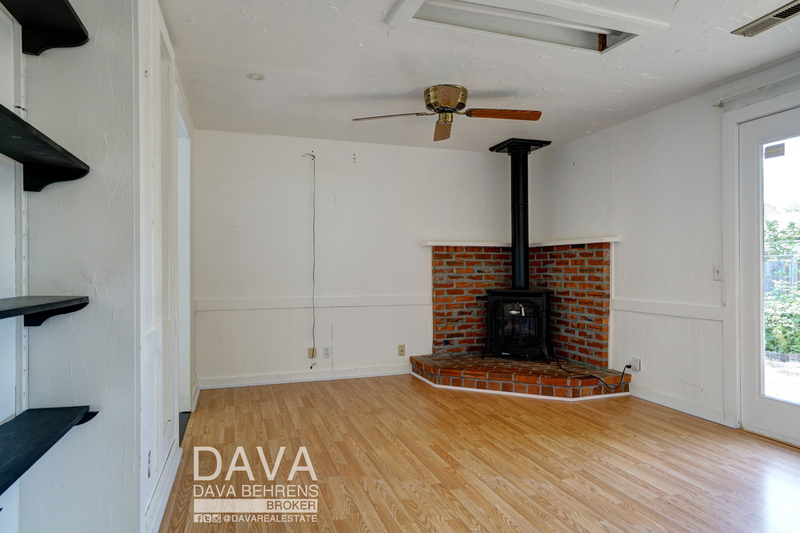 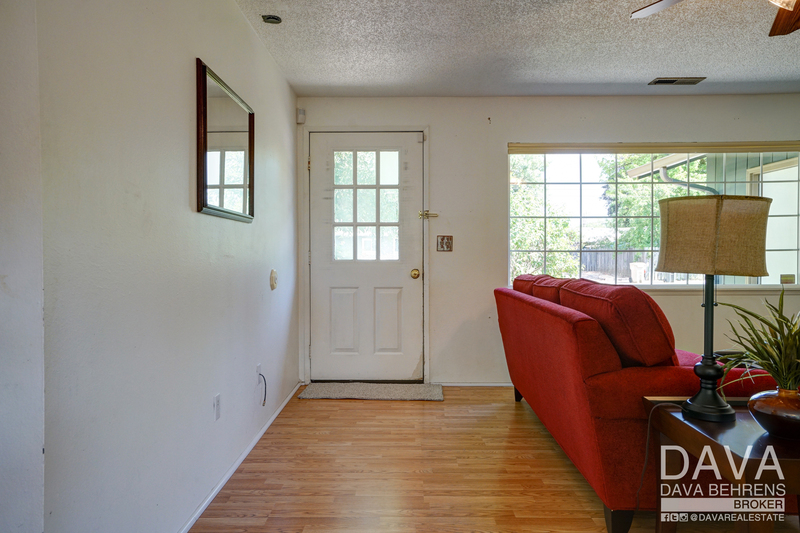 Family room has gas stove, access to back deck, living room, and kitchen. 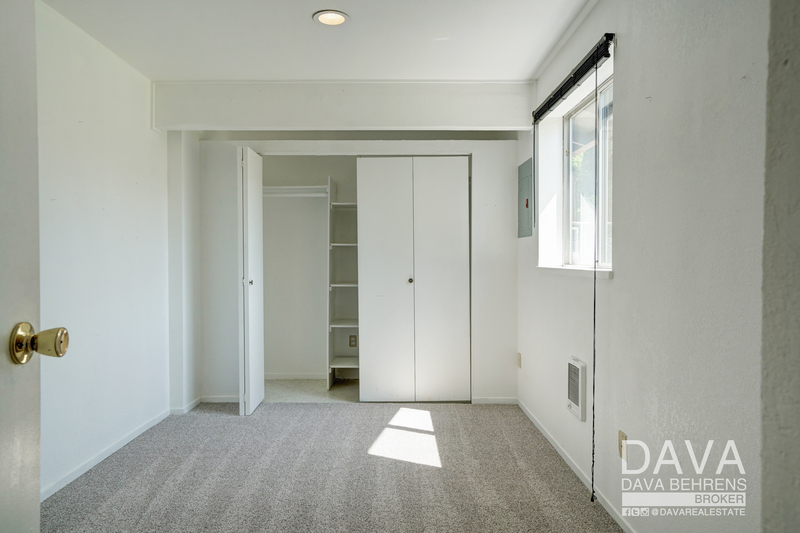 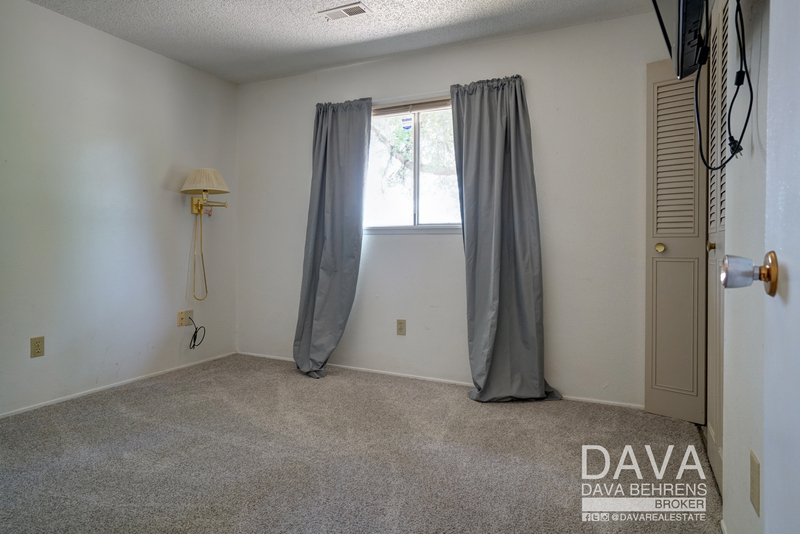 Private bedroom off family room is situated on the opposite side of the home from the other bedrooms and is a great space for guests or could be used as a bonus space to suit your needs. 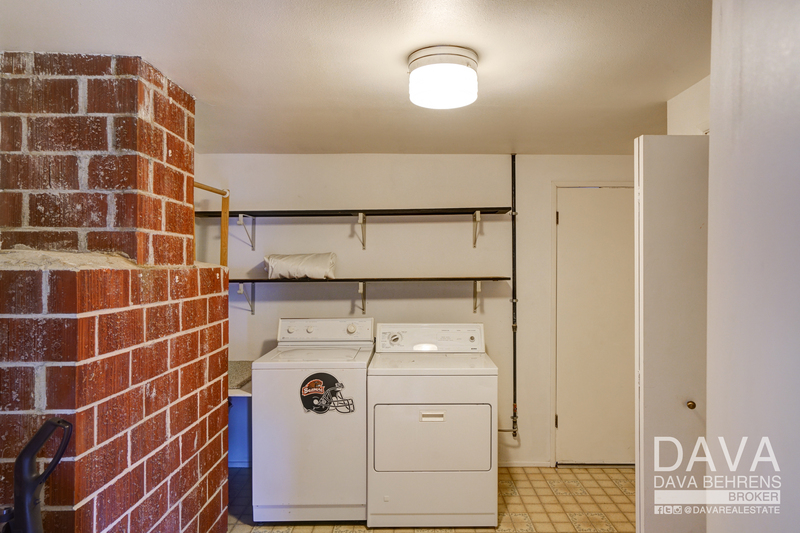 Spacious laundry room with lots of storage. 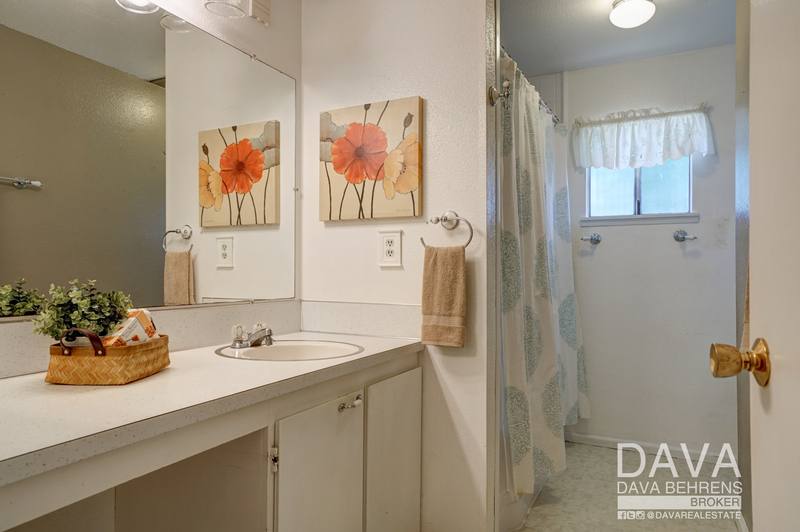 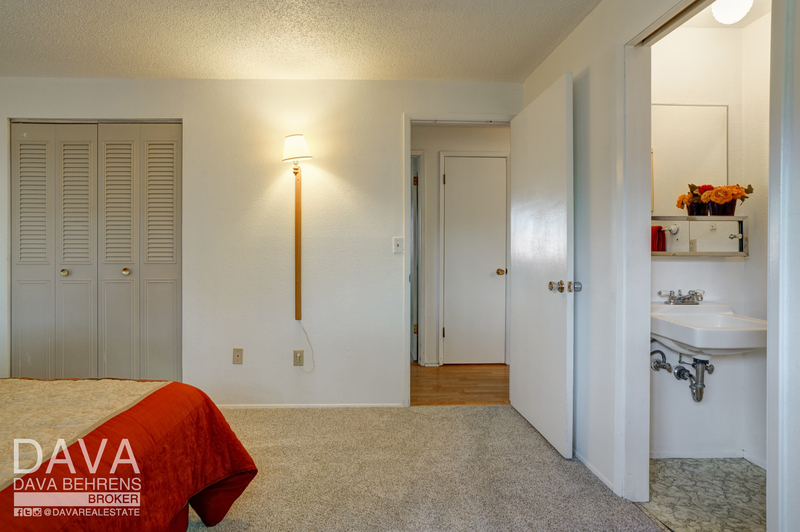 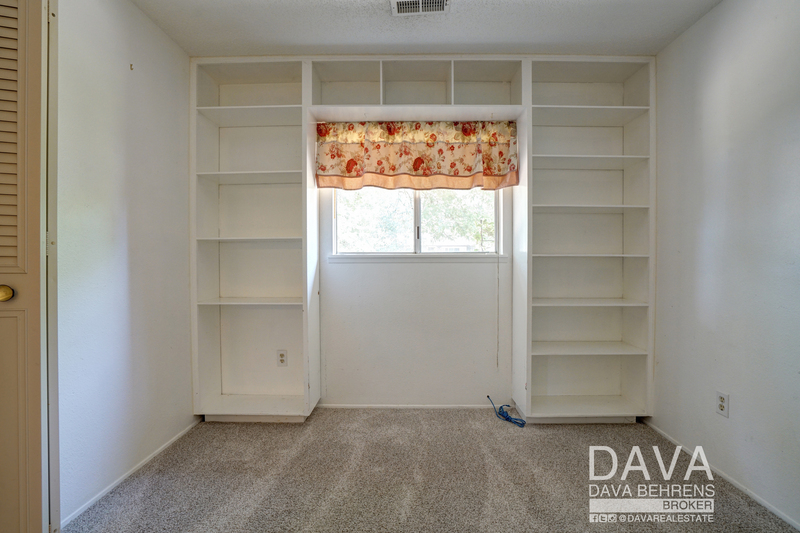 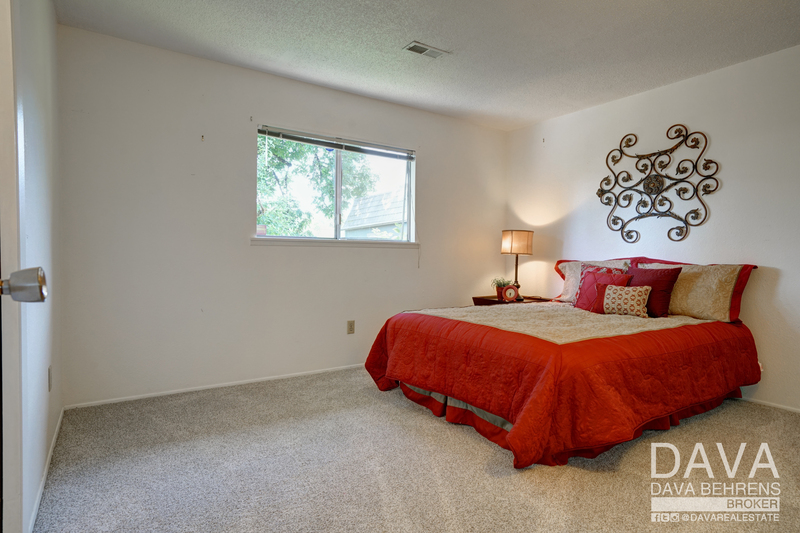 Master bedroom with attached half bath, two additional bedrooms, and a full bath complete the floor plan. 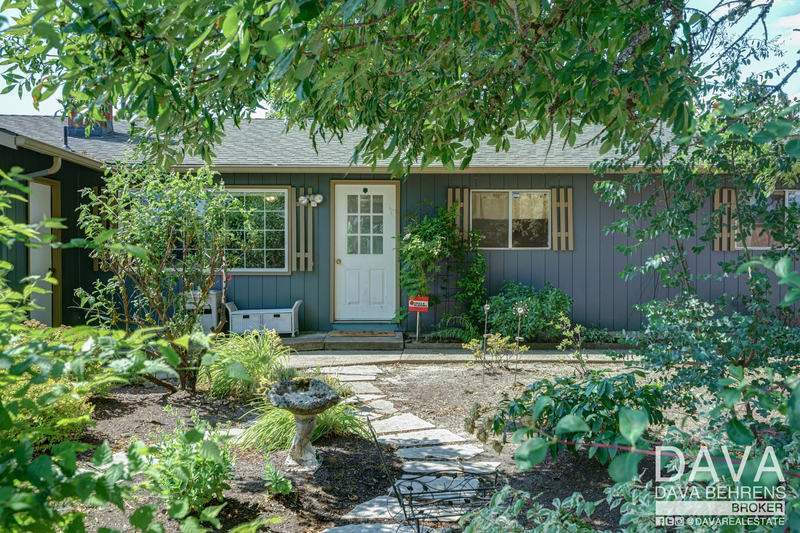 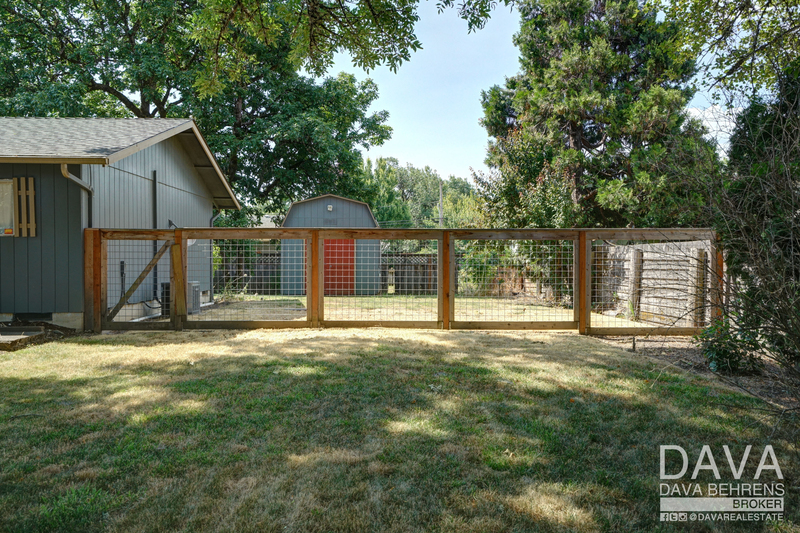 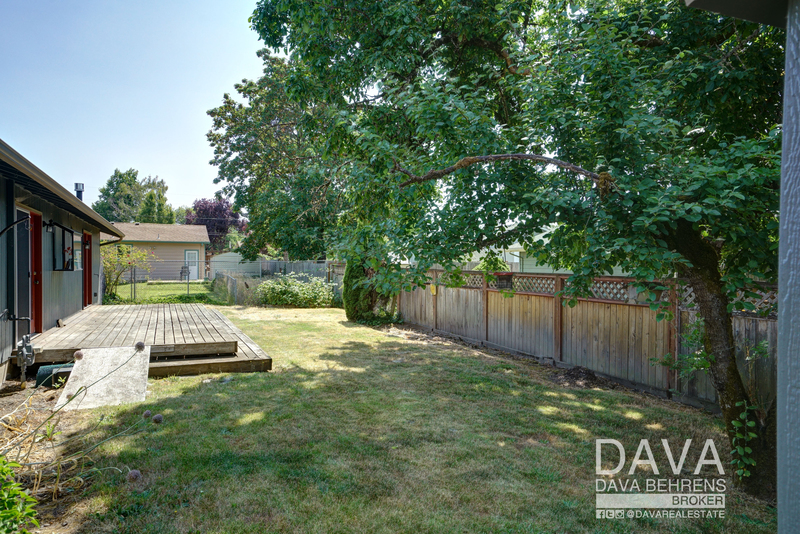 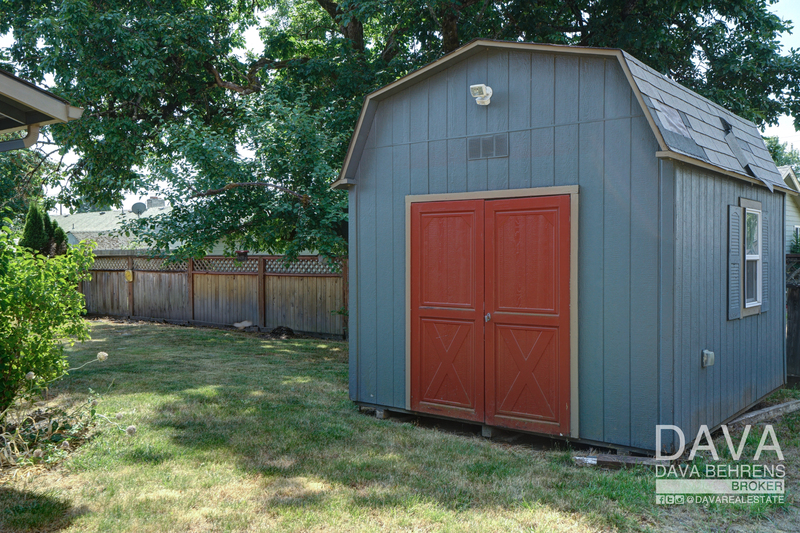 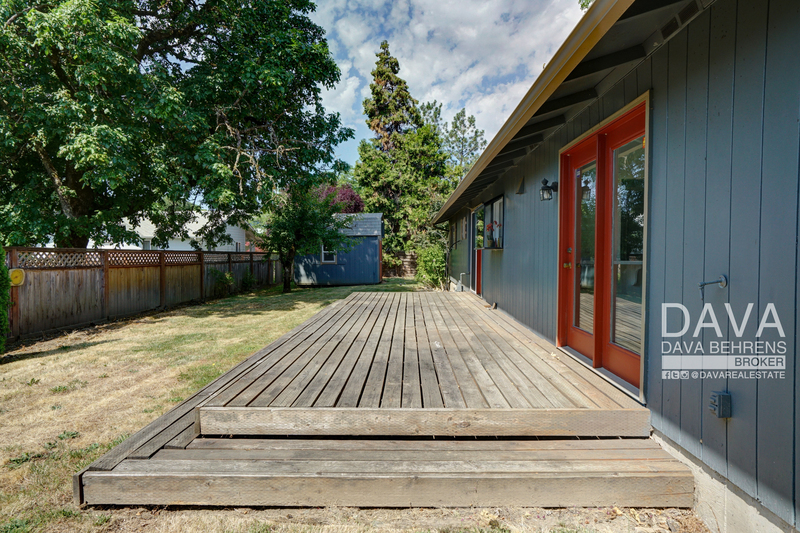 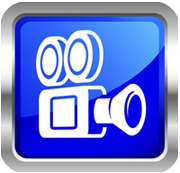 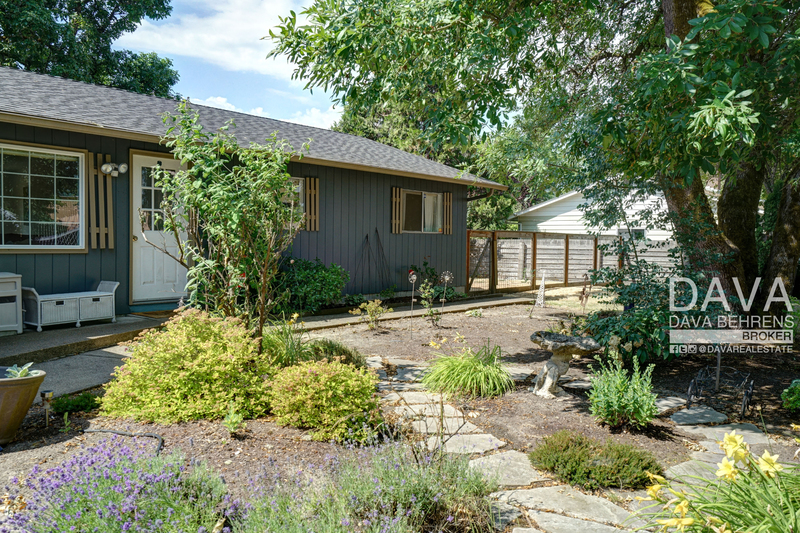 Large fenced yard with back deck is great for entertaining, play, pets, gardening and more. 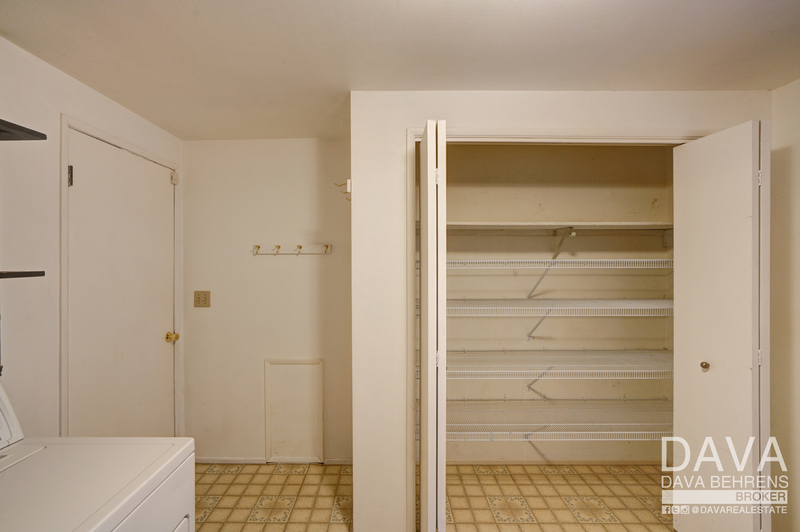 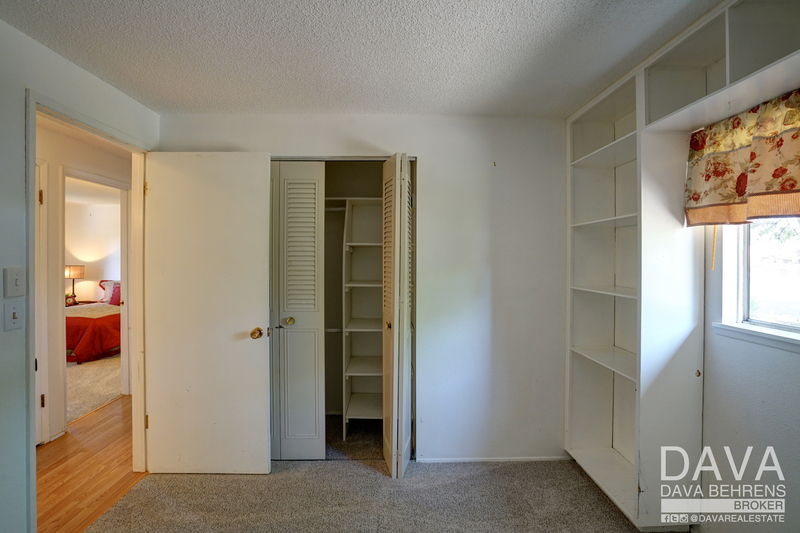 Storage room is accessible from the two garage doors in front, laundry room, and front porch. 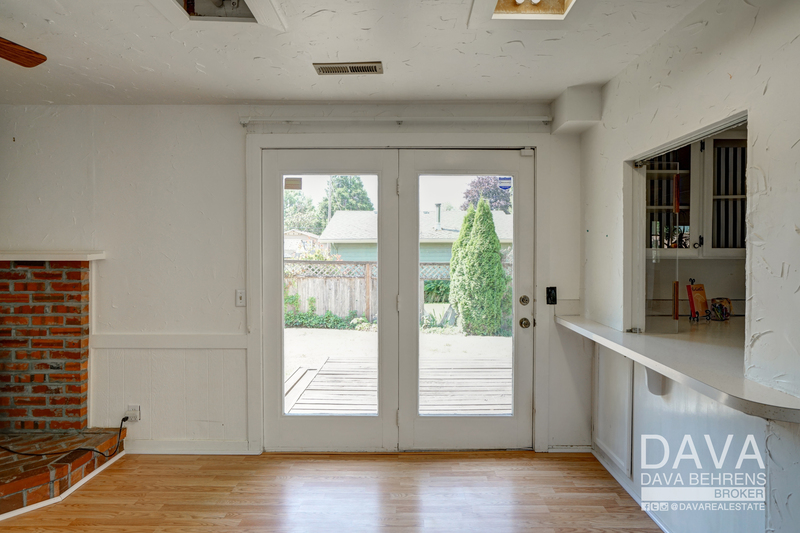 Dog door leads from storage room to side yard. 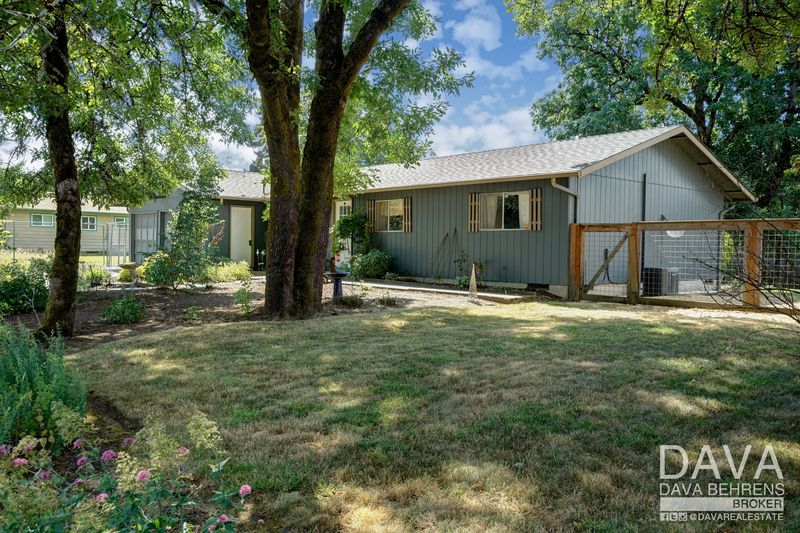 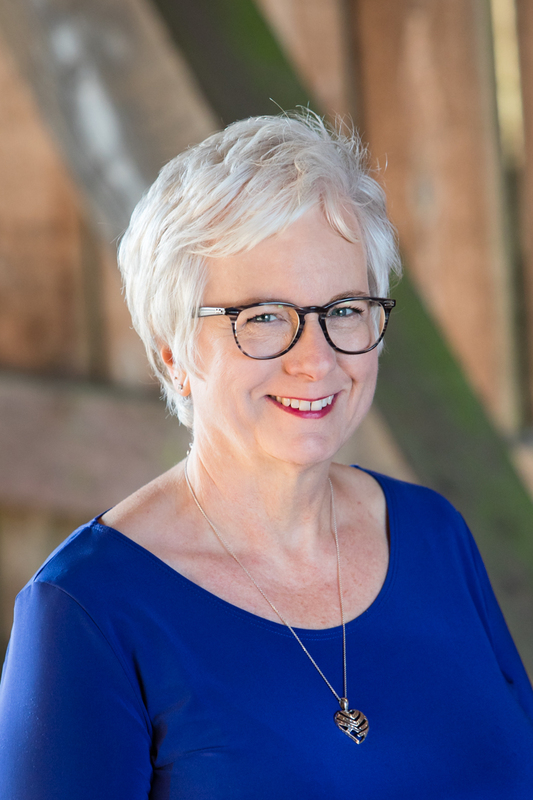 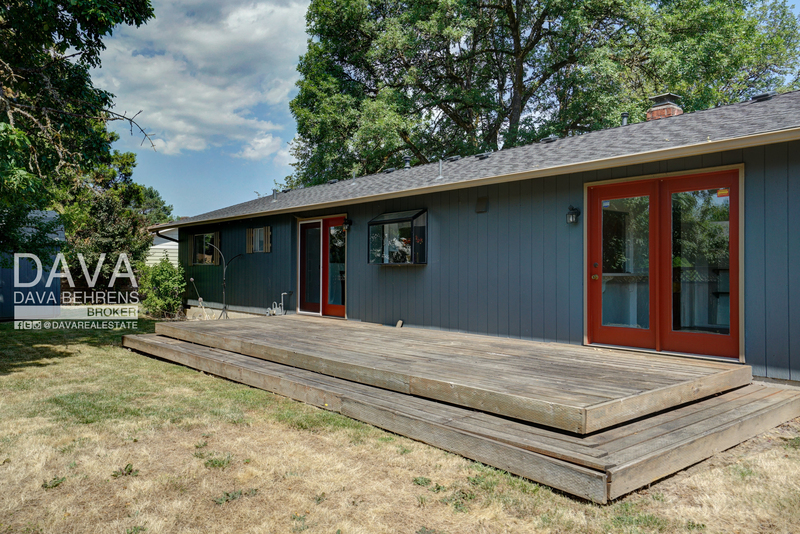 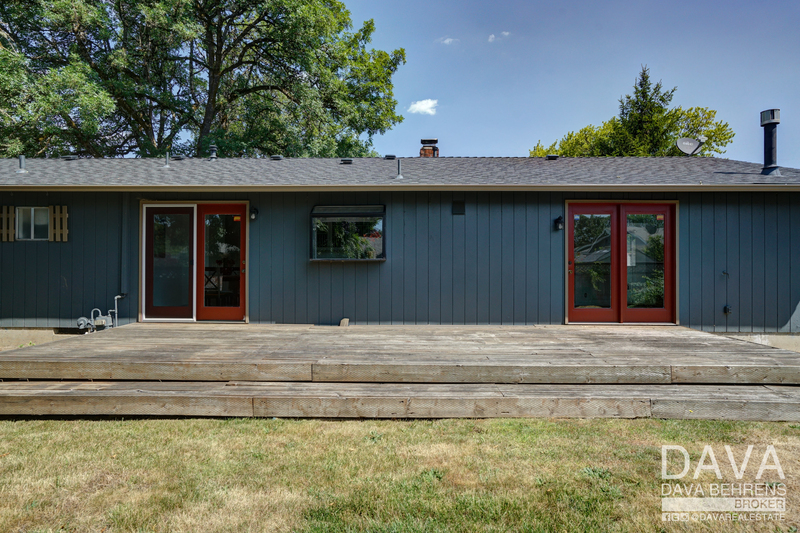 Easy access to Hwy 20/34 for a quick trip to downtown Philomath or Corvallis and Oregon State University.